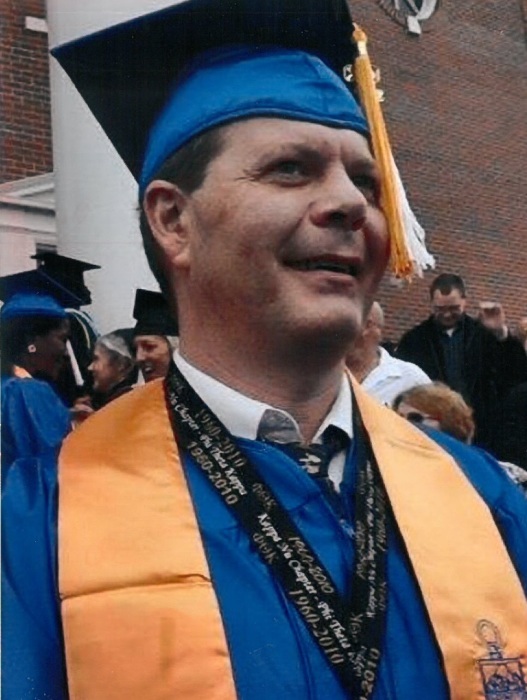 Michael Shane Hill age 49 of Ocklawaha, FL passed away on Saturday, March 30, 2019 in Villiages, FL. Shane was born on Novemeber 12, 1969 in Jackson County to the late Gerald Frank Hill, Sr. and his mother Nettie Louise Hill. He had lived most of his life living in Jackson County, spending the past fifteen years in Ocklawaha. Shane earned multiple Master Degrees. He enjoyed spending time playing on computers and loved his poodles. He was preceded in death by his father, sister Teresa Adams and brother-in-law (Eric Adams). Shane is survived by his mother Nettie Louise Hill, step mother Patricia Gail Hill, brothers Gerald “Gator” Frank Hill, Jr. and wife Petra of Panama City, Jamie Lynn Hill and wife Shari of Kynesville, FL, Charles Hill and wife Amy of Kynesville, step sisters Terri Pruitt of New Port Richie, FL, and Brandy Little John and husband Danny of Norforlk, VA. Shane is also survived by numours nieces and nephews. A celebration of life service for Shane will be held at 11:00 AM, on Wednesday, April 3, 2019 in the Marianna Chapel Funeral Home with Rev. Jack Hollis officiating. The family will receive friends from 10:00 AM until time of service. In lieu of flowers, donations may be made to charity of choice.